Today's guest writer is the illustrious Holly Usrey Roos - powerful spreader of awareness, inspiring speaker and leader, superb fundraiser, tireless advocate, and first and foremost - mom to Parker and Allison, both with the full mutation Fragile X. Holly is the LINKS Program Coordinator for the National Fragile X Foundation and I'm honored to call her a friend. Allison. She is my princess, my cowgirl, my mathematician, my speller, my singer, my songwriter, my artist, my emotions, my excitement, my hope, my heart. In so many ways we are exactly the same. We wear our hearts on our sleeves, we want everyone around us to be happy, and we put everyone’s needs before our own. Allison was only 5 months old when her brother, Parker, was diagnosed with fragile X syndrome. It was 2 months and a horrible misguided visit with a geneticist later before I learned that my then 7 month old princess also had the full mutation of Fragile X.
Parker was almost 4 when diagnosed. So much time and so many doctors’ visits had passed trying to determine what (if anything – because everyone said there was nothing wrong and I was crazy) was going on with him. With Parker, the diagnosis was a relief. An answer. Proof I wasn’t crazy. He was almost 4, I had a general idea what to expect and most of all I was simply relieved to have an answer. With Allison, it was completely different. She was the perfect baby. She nursed well, she slept well, she was always happy. She was also born with esotropia strabismus – so her eyes crossed inward, she never kept her tongue in her mouth – so between her little crossed eyes and her insistence to keep her tongue out of her mouth my gut said before the test came back that it was positive. My gut, again, was right. Everything was a fast spiral with Allison’s results. Her repeat number was 850. Yes 850 repeats… 300 higher than her brother whose results and future I was still trying to understand. My gut told me to panic. Clearly she would be more affected than he would. I did the only thing I knew to do. I called the NFXF frantically searching for Deborah Kwan who had helped walk me through Parker’s diagnosis. She… was out. Day off, vacation, I don’t remember – just the panic of my person being gone lingered. Robby Miller had answered the call that day and tried to convince me he knew what he was talking about and that it was ok to talk to him (Oh, how little I knew…Robby is now my boss and one of the most Fragile X knowledgeable men I know – and not because he’s my boss but because it’s true!) He told me repeatedly (because I kept asking repeatedly) that the repeat number was irrelevant. All that mattered was it was over 200, the higher number did not mean she would be more affected. It didn’t mean she wouldn’t be, either. Time would tell. Allison’s diagnosis brought 2 drives to my Fragile X life. 1 – To be sure the girls are tested. We were told not to test her, that it didn’t matter until she was ready to have kids, that it didn’t matter. And 2 – to be sure parents understand that the repeat number itself is irrelevant. Allison today (now 10) is a beautiful and smart young lady. If I didn’t tell you that she had Fragile X, you would, honestly, never know. She is top of her class in spelling and math – the 2 very subjects she should struggle with – she excels. She brings home straight A’s. Looking over her 4th grade class, even talking to them, nothing would lead you to believe that Allison is special. For this reason, many girls are over looked and sadly often never tested. The truth about Allison is she is special and as hard as it is for others to see and for me to sometimes accept, she does struggle. While Allison does her best to take care of the world, I do my best to take care of her. Her body constantly fights all of the sensory processing difficulties it has. Clothing has to be carefully picked out, no lace, no jeans (thank goodness for jeggings! ), nothing too high on her neck, too long on her arms, nothing that is scratchy – basically if it’s not a super soft cotton material – it won’t work. Noises, smells, sounds, light – all things she is super sensitive to. Music class, assemblies, class room games – all overwhelming to her system. And then there is smells… ranch dressing… how quickly we learned that she could not sit next to anyone eating it or, like her brother with certain smells, she would throw up. She has the most tender heart and feelings; it only takes a wrongful glance to devastate her. She is literal; it has taken a lot of time and work to help her to understand that what people say isn’t always what people mean. “I’m so hungry I could eat a horse” means I am reallllly hungry and could eat a lot, not that I will actually eat a horse (her most favorite animal ever). Most crushing is trying to understand Grandpa John (crushing to her and grandpa) as he is a great big tease. “Parker loves me more, he hugged me first” or “I’m not going to let Grandma ride the horses anymore.” Things he will commonly say jokingly but she is unable to process that he isn’t serious, tears will fall, hugs and explaining will follow. She can and does cry at the drop of a hat, her feelings are delicate and easy to hurt. She is shy and soft spoken and the rule follower. She is not capable of lying nor does she grasp the concept of why anyone would, or she should. Her biggest challenge – anxiety. Her anxiety is not just a monkey on her back; it is an elephant crushing her. It traps her in a tiny world. It has stopped her from starting conversations, knocking on a friend’s door to come out and play, initiating a phone call, and trying new things. She is affected. It’s even more hidden and not nearly as obvious as it is with her brother. 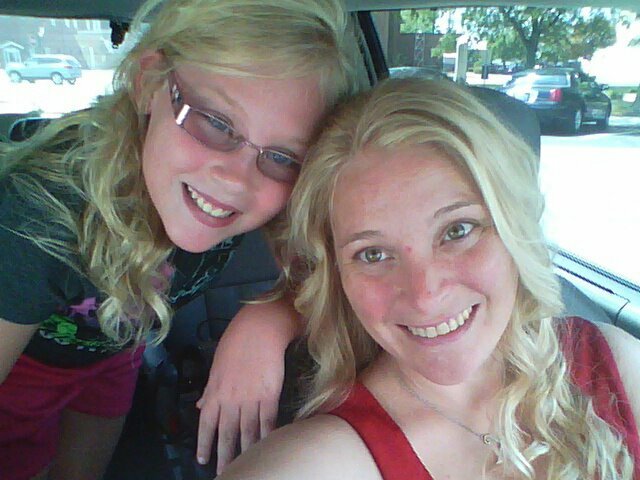 She is my daily reminder to be sure that the females with Fragile X are represented. We hear so much about the boys – for good and obvious reasons as they are, typically, more affected. 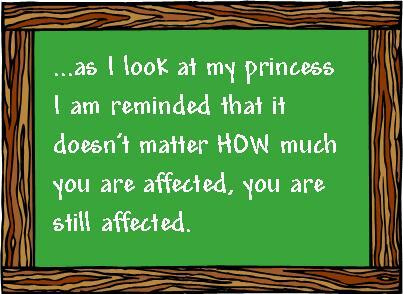 But as I look at my princess I am reminded that it doesn’t matter HOW much you are affected, you are still affected. And Allison, like thousands of other girls, is. So in the fight to end the question of “Fragile what?” I fight to be sure that the girls aren’t left out. That the girls are tested and tested early just like the boys. Who wants to find out when they are ready to get married or have children that they have this full gene mutation? Is that burden really lighter than the one Allison carries that includes an explanation to her as to why she faces these issues? It’s very hard for me to believe that it is. I remember for myself when I learned I was a carrier the relief of understanding why I had the struggles I did. There was a reason, a real, honest true reason. Not an excuse but a reason. I want our girls to be represented, to be understood, to be properly diagnosed and to be in the picture just as much as I do our boys. Fragile X… it’s not just for boys. We need to remember that. 850, remember that number, the number of Allison’s repeats? If I can accomplish one thing… yeah, no that wouldn’t be enough, let me rephrase that – if one of the things I can accomplish is to get them to stop sharing the number over 200 with families, I will feel a bit of relief and success. We can’t help it, we hear the number and we obsess on it. It doesn’t matter how many times we are told the number over 200 is irrelevant… we still obsess on it. It takes f-o-r-e-v-e-r for us to get past this number. And why? Why tell it to us? It’s an irrelevant number. So, stop. And for the moms out there still stuck on the number – stop. Let it go. Robby Miller was right, it is irrelevant. The gene shuts off after 200. The higher the number means – absolutely nothing at all. So back to why I started to write after all… my princess. My very beautiful, talented, loving princess. She amazes me. She has had to grow up and take on more responsibility than her friends. She lives in a different world, not only because she has Fragile X but because she has a brother who is very affected by it as well and his world is sometimes a difficult place to live. She understands frustration and patience. Most of all, she understands acceptance and unconditional love. She is the most amazing person I have ever met. I do what most moms do, I try to keep her in a protected bubble while also letting her grow her wings and become her own person with her own identity. For Allison, this means pink hair. In some ways, she’s not at all like me… and for those reasons – I’m very much equally as proud. She knows she has Fragile X. She doesn’t use it as an excuse, that’s not allowed. She does use it as an understanding to why her life and her struggles exist but not as a limitation to slow her down. It has changed her world and it has changed mine. Together we are one voice. Together we talk to groups about what it’s like to have Fragile X and to live with a brother with Fragile X. She is her own advocate and, when needed her brother's. And yes, she is only 10. This year, Allison has continued to bring home straight A’s on her report card. 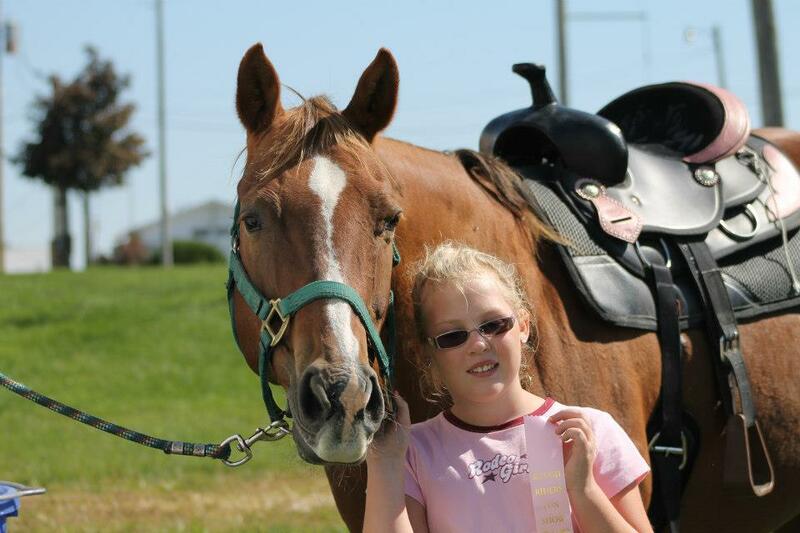 She is riding independently on her horse and feels the faster the better. She loves her fe-lion, the sometimes unlovable-by-others cat, Belle. She is active in sports, she is my cheerleader, and she loves her friends. She can often be found drawing or writing songs. She has Fragile X, there is no denying that, but it does not have her.